till breathed with joy as they wander by"
This spring brings us a new limited edition version of Issey Miyake L'Eau D'Issey, called City Blossom. Right before the nature awakes and trees start blooming, I would like to share my thoughts about this cute cone flacon and the fragrance. The first whiff reveals a fresh and slightly spicy opening. 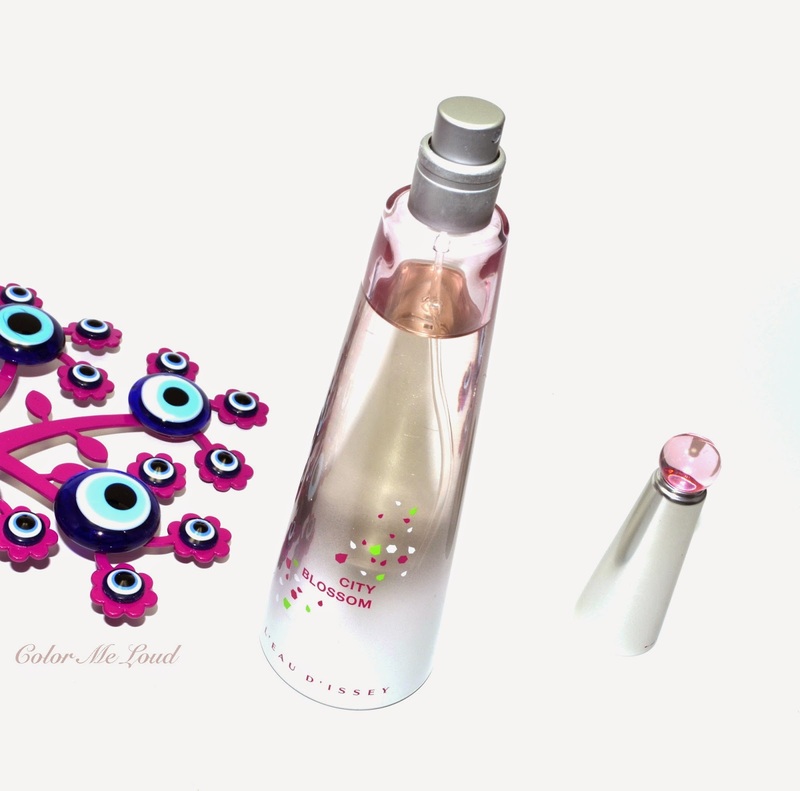 Calone note peeks as the foot prints of the original Issey Miyake L'Eau D'Issey and brings a light hearted fruitiness to the mix. On my skin pink pepper is not pronounced very much, although it manages to bring the opening a light spiciness. Once the fruitiness and fresh notes slowly fade, the fragrance forms into a bouquet and reveals its floral heart. At this stage it is like sitting in a park and taking a deep breath as the spring starts touching the branches of trees. I can feel an airy mixture of Osmanthus and Magnolia, which is light hearted and pleasant. White musk gives the feeling of a sea breeze as the fragrance dries down to a very light and woody base and stays very close to skin. 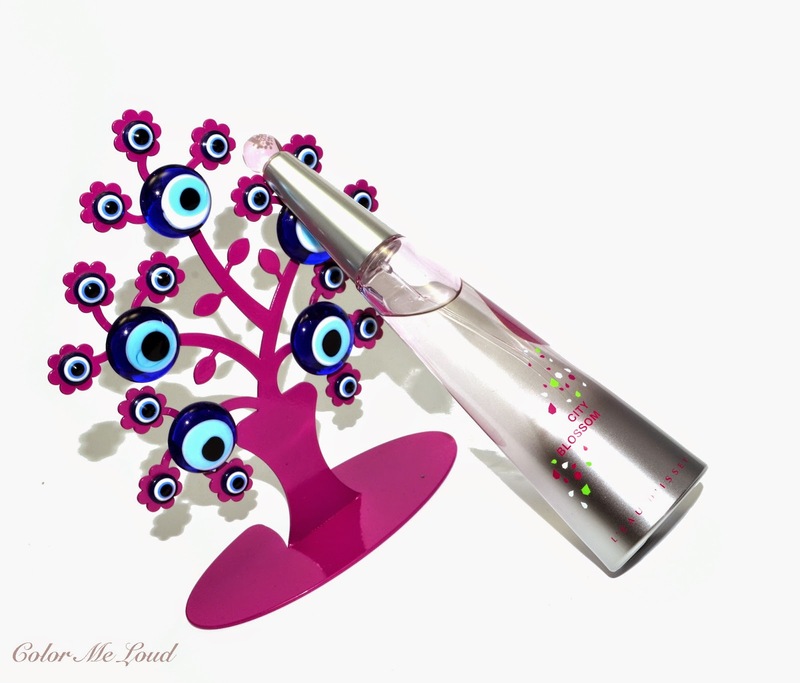 Final thoughts: Issey Miyake L'Eau D'Issey City Blossom Eau de Toilette is a light floral spring fragrance with very pleasant silage and a moderate Eau de Toilette staying power. Its feminine modern flacon design certainly makes it a winner, especially as a gift. Avaiability/Price: It is limited edition and now available at the counters. 50 ml (pictured above) can be purchased for around 67€. Have you tried Issey Miyake fragrances before? Which one is your favorite? Ohh I remember wearing Issey Miyaki nonstop for most of my teenage years! It seems like every year they come up with a special LE one... but i always prefer the classic scent over the seasonal. This bottle looks very cute though! 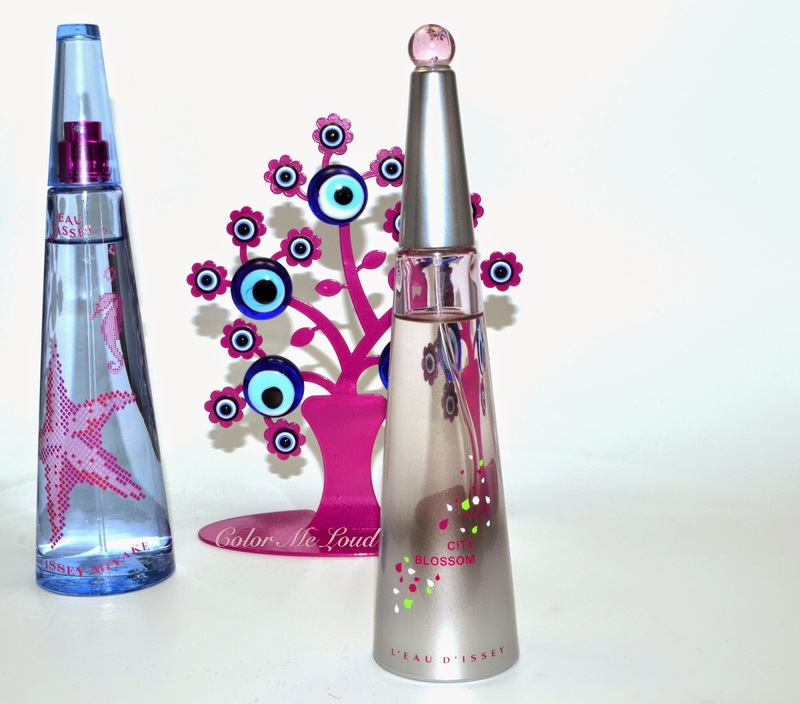 I love the design of the bottle, I want to place them as decoration around the house lol, super cute.